The Pants, Jersey, Glove Combos section has just what you're looking for! Find what you're looking for in our Pants section! Our Jerseys section has a wide selection to suit your needs. Find what you're looking for in our Gloves section! Our Jackets section has a wide selection to suit your needs. Our Hydration Packs section has a wide selection to suit your needs. MotoSport has what you need for Blowers and Dryers! Look here to see our selection from top brands. Dirt bike riding is not just a hobby, it's a way of life. A most adventurous and exhilarating trip on two wheels. And overall, it's just plain fun. Grabbing seat time on a dirt bike involves more than buying your ride of choice at a nearby dealer or private party and taking it out on back country roads the next weekend. Gearing up is part of the whole package. It's not a matter of if, but when, you crash. In fact, one rule of thumb most riders abide by is dressing for the crash. Remember, you ride on loose dirt, gravel, sand and water, among other hazards. Riding gear helps minimize injury when situations arise and offer security for a more enjoyable experience. The essentials include a helmet, goggles, boots, pants, jerseys and gloves. Therefore, if you're riding on today's hottest dirt bikes - be it in the sand, on the track, or fighting mosquitoes on the trails - we've got the dirt bike and motocross gear you'll need to stay safe. MotoSport offers an extensive line of riding gear for men, women and children for track or trail riding. 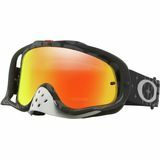 So, whether you're new to the sport or looking to replace well-used gear we've got you covered. Literally. Our comprehensive line of gear from all the industry brands gives you the knowledge necessary to make an informed purchase. We are "The Guys That Ride" so let us help you narrow your scope based on needs. Certain gear complements one rider over another and perhaps you live in a part of the country where it's primarily trails in the woods or in an area where it's mostly sandy dunes. Thus, the most expensive boots do not always mean - the best - and one helmet may have features that better suit where and how you ride. MotoSport is here to help you take the guess work out of finding the right product for your riding needs. Wherever your next adventure takes you - find the riding gear you love and express yourself on the track or trail. We'll be there to share your journey! 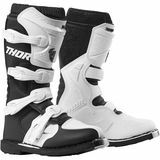 MotoSport gives you one of the largest online dirt bike riding gear selections. So, get geared up and make any day a day to ride. Fast, free shipping on orders Over $79. Most orders placed by 5 p.m. ship same day. Want help? Call our toll free line 866-677-7338.